One For The People continue to bring you the best and upcoming musical talent, in all shapes and forms. This week it comes from Brooklyn's Twin Shadow. We featured his track / video "Slow" in recent times and we think he's an example of where creativity can get you within today's modern market, it doesn't have to be all straight lines, you can go wherever you like. 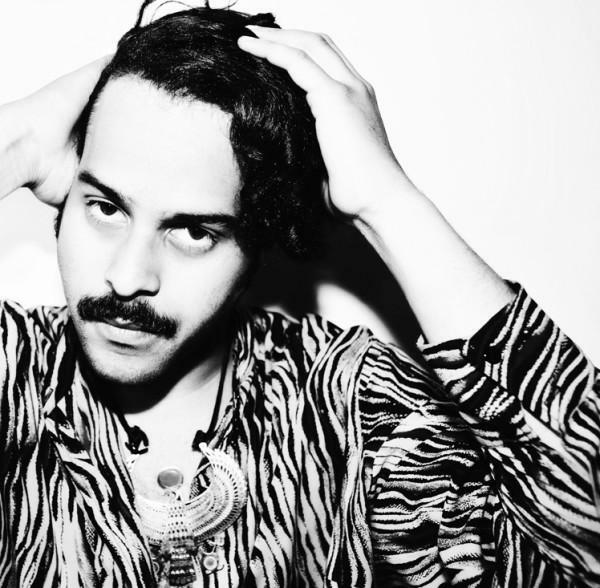 (TS) Twin Shadow is a Ghetto Pop act from Bushwick/Brooklyn New York. George Lewis Jr (me) is the frontman and writer of the Album "Forget", which is being released in the States by Terrible Records. Twin Shadow's music is Synth VS Guitars music. Top 40 classic pop without the overhead. (1FTP) Although your not originally from Brooklyn, the place is notorious for churning out some top notch bands, do you feel any pressure or is it just a case of going with it? (TS) I only feel the pressure that I put on myself or the band puts on each other. But I like competition and get exited when I hear a Brooklyn band that blows me away, and I want to achieve what they have and more. (1FTP) We have seen comparisons with The Police and also Morrissey, the latter we find strange, what do you think? (1FTP) What do you hope to achieve off the back of 'Forget', any plans to hit the UK? (TS) Some bread in my pocket, many fans, many travels. Yes we will be in the UK in October... The Band IS PUMPED! (1FTP) Was the $1 LP idea anything more than just the record companies idea, or does it have some other significance? (TS) I think It says a good bit about the state of selling records, but it was mostly a sacrifice to get people into it early. The record will be out in late September so we wanted to give people a month to access it for cheap, so they didn't have to think too hard about it. FORGET is like toothpaste, floss, bubble gum, it's at the checkout, it's cheap (for now) and you need it. (1FTP) We have noticed your into your your bikes and muscle cars, how did this come about? (TS) I grew up In Sarasota County, home of the Sarasota classic car museum. This museum has some of the first cars ever made. It brought a lot of classic cars to town. My father was a big fan of cars and I use to stare at a picture of him on his BMW motorcycle looking devilish and I thought that was what life was all about. I'm not a car show freak though, I just like driving fast in a big old car. (1FTP) Who did you look up to as a child? (1FTP) What are you currently listening to? (TS) Twin Shadow is kale mixed with turnip greens with a little bit of hot sauce thrown in.